If you have a crawler, you will know EXACTLY who RC4WD are as they make some of the best products and accessories available for Rock Crawling vehicles in the world. If you didn’t know that before, you do now. 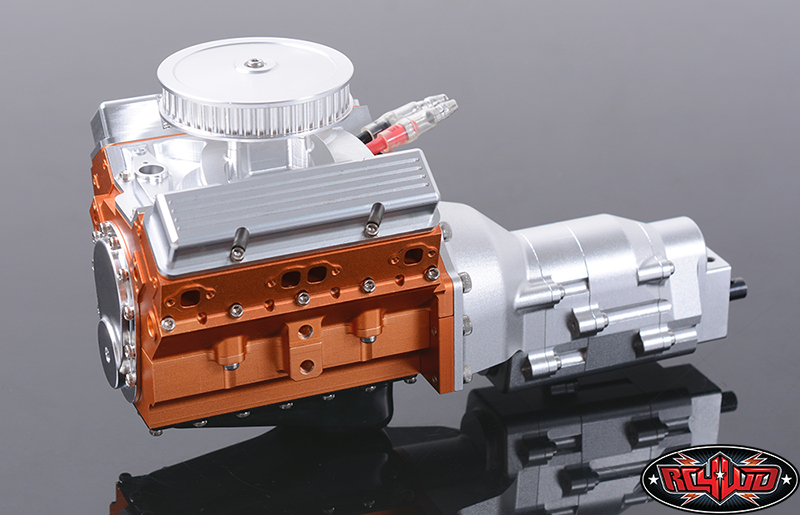 Next is almost as exciting in many ways, a scale V8 Engine and transmission! You can put a standard crawler brushed motor in the V8 and the transmission is a single speed, working transmission, the combination of which looks amazing! There is a lot of excellent products coming out of the woodwork today, and surprisingly not related to the current IFMAR Worlds. Viper R/C Solutions is proud to introduce authentic epic1Designs Chassis Armor with the Viper R/C logo. This high quality Chassis Armor provides 21mil thick protection and will reduce friction from contact chassis has with track. 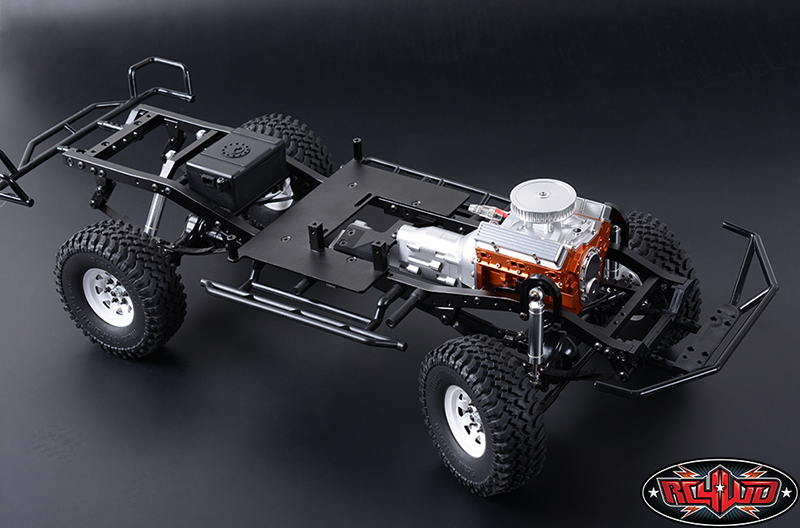 With peel and stick, and stick, and stick technology, the Chassis Armor can be removed to work on your car and re-applied multiple times with no issues. Peel it off, fix your car, stick it back and you are ready to go multiple times. 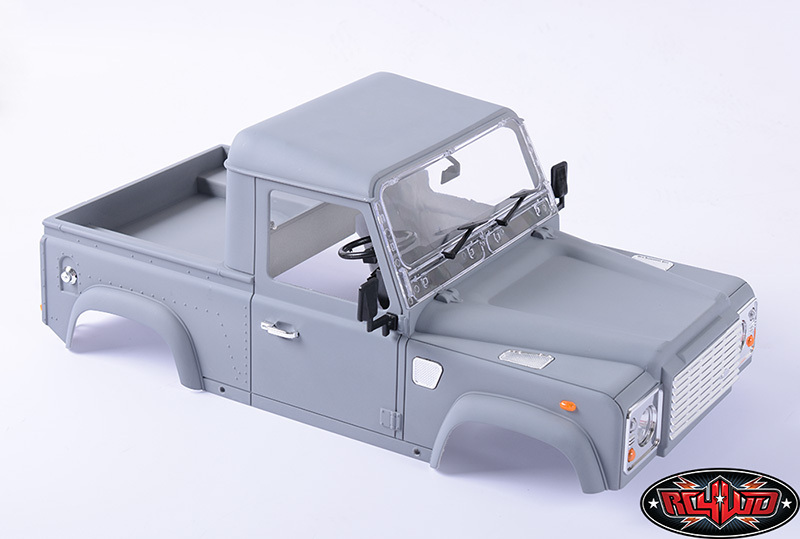 The 5.5 in by 13.5 in sheet will fit 1/10 touring cars, offroad trucks, offroad buggies and many 1/8 vehicles. Keep your chassis protected with armor, and show off the Viper logo at the same time! I have to say I like the look of these, they would be good on my Buggy and my rally car! Your Vorza goes HOW fast! Speed runs aren’t something that is in my blood. I’ll do a un ion the street to see a car maxed out, but that is about it. For others there is a little more passion there. The HPI Broza is no slacker when it comes to speed, but the boys at Vorza Aussierc (who can be found on facebook here https://www.facebook.com/AussieRC?fref=ts ) like to go a little faster. How much faster? Is 196 km/h fast enough for you? See their speed run below. All I can say is I would have enjoyed High School so much more if we had a Remote Control Car Club, and that is exactly what Lucas Heights Community School has! Best of luck to them with it, and I hope it continues to get young people interested in our hobby. Famous name and a famous haircut, Robert Reed (Reedy) joins the Proline Australia EP Offroad Team. With a career best performance at the NSW States last week, we couldn’t help but have him on our team!! Check him out whipping it at RC Arena Tonight!!! I’ve seen some interesting comments and thoughts from some of the top drivers at the 2014 Nitro Off Road Worlds in Sicily overnight so I thought I would post a few snippets of what they had to say. Practice is finally over! Quals start tomorrow. Plenty of controversy here regarding rules and running of the event. Double coming before the straight will continue to produce lots of controversy this week. I’m doing ok. Having lots of brake issues. Seems having proper brake setup is most important thing for this track. Few clear front runners so far. Biggest thing they have is ability to clear left double consistently and land on inside. Hoping it all comes together for me tomorrow. 10 minute runs vs timed 3 laps should help out. Hopefully the concrete holds up all week. After controlled practice we are second!! Really happy with our performance, we got a good setup to start qualyfing tomorrow morning so we will try to make clean heats! Also great talk with Jared Tebo before the ceremony and nice Wc’s Team photo!! The first couple practices went well yesterday and we are getting the car dialed in, about to leave to the track for day two of practice. I’ll try to post more, wifi is hard to come by here. Day two of practice is over, everything is going well, relaxing with some gelato after dinner with Tim, Daniel and Torrance. My car with the new Proline lexan wing. I don’t think Jared is a fan of the surface. Anyone need their bathroom tile updated? 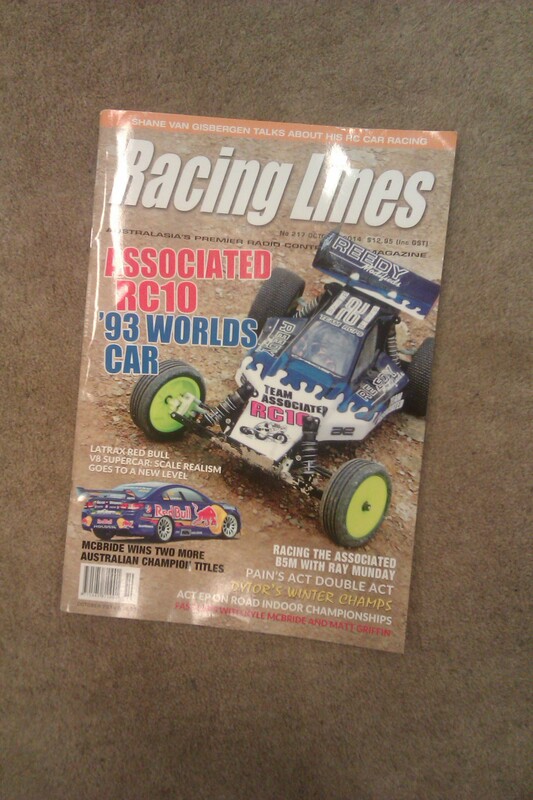 This month’s Racing Lines is a good one I have to say, although a slightly different physical print than the last editions. In between the covers you will find articles on LRP at the ETS season final, an interview with Shane Van Gisbergen of V8 Supercars and RC racing fame, a look back at some cars of the past from AYK, a look at the Latrax V8 Supercar, a review of the Team Associated RC10 1993 Worlds Car re release and of course the reports from the latest major Australian RC races around the country. One article that caught my attention was Scott Guyatt’s article titled Get a Grip. It’s well worth a read and it examines the latest fad of high traction surfaces such as sugared off road tracks that simply eat tyres. Whilst I don’t often have the opportunity to race on dirt I have to agree that I don’t think high traction, heavily prepared surfaces are the best thing for the RC Racing Scene on the whole. Now I have to confess, my regular racing haunt is a high traction carpet surface, not because we were looking for high traction, but because the concrete in the shed we race on is too slippery to race anything. Also the carpet can be removed when the site owners need the venue for other events. I never thought I would hear myself saying that I have too much grip at any RC track, but it was a phrase I have used on many an occasion now that the track is almost 100% carpet. Have a read of Scott’s article, and let us know what you think, but personally, I 100% agree that at a local level, it’s not good for the hobby I love.